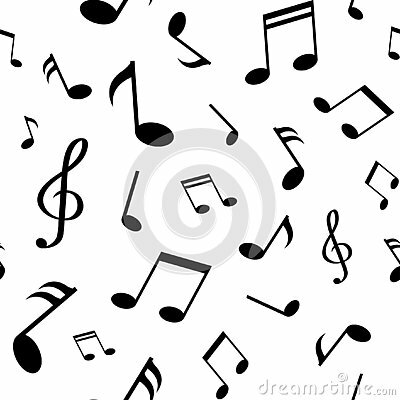 Vector background with musical notes. Seamless pattern for wallpaper or wrapping paper. Vector seamless doodles Valentine`s pattern. Vector Seamless Musical Notes Pattern, Chalk Drawings, Music, Black and White. Stave with music notes seamless pattern. Black and white music notes sheet seamless pattern.